Most times we tend to under-estimate the weight a simple gesture of kindness carries, though this is all it takes to make the world a better place. Pastor Victor Enyingwa and Pastor (Mrs) Williams visited the Respite Home with youthful members of the Redeemed Christian Church of God (RCCG), Generation Jesus Group on Saturday, the 17th November, 2012. They came bearing gifts: a mattress, pillows, toilet rolls, cartons of noodles, rice, groundnut oil and soap for the boys. They also donated cash to the Home to support the boys. They were shown around the premises and introduced themselves to the boys and staff, who also did the same. The boys were a little shy when the time came to introduce themselves, because of the number of people present. However, as they warmed up to the visitors, they became confident and began to enjoy their company. They introduced themselves, chatted and also asked questions. You could see on their faces that they were having so much fun and enjoying the attention they were getting, and the visitors were also amused and delighted by the humor the boys showed through their expressions and presentations. 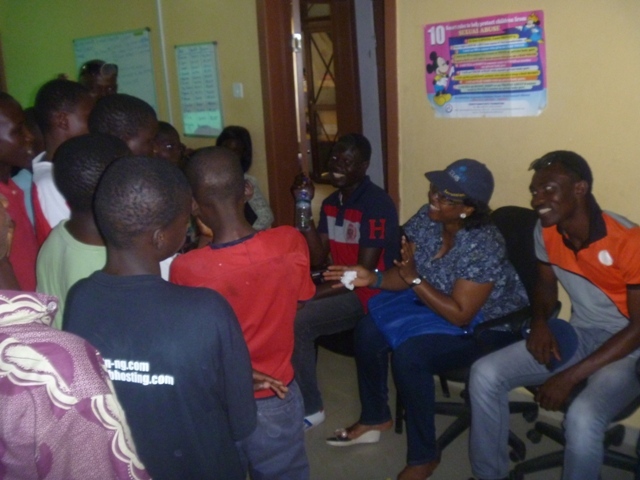 Juliana Balogun, a new volunteer came around to give the boys Mathematics and English lessons. Yemi Adediji and Victor Aboh, friends of the Home who visit the boys on Tuesdays, Fridays and Saturdays, were also around to spend some time with the boys, help them with their assignments and to improve on their vocabulary. 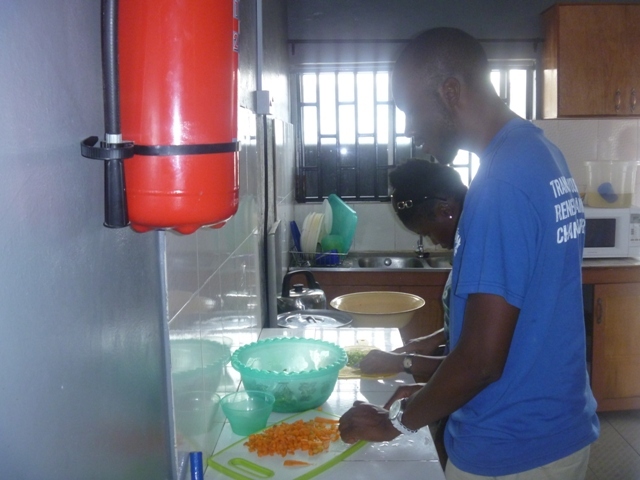 They even found their way into the kitchen to lend a hand there too! It was indeed a full house of cheerful voices. The members of the RCCG youth group prayed with the boys, advised and encouraged them too. They had a photo session with them, and the boys were glowing in the love all around them. The children could not be more grateful for the company and support they received. They were full of thanks for the hearts that were thoughtful enough to remember them. Fair Life Africa Foundation says big thanks to Pastor Victor and Madam Williams, Princess, Precious, Amaka, Helen, Mercy, Muyiwa, Solomon, Kingsley, Emmanuel, Sunday, Obi, Olakunle, Johnson, and all of the RCCG Generation Jesus Group in Ikoyi. Thanks to Juliana Balogun for making out time to help the boys with their studies and also to Yemi and Victor, whose hearts are always with the boys. Thanks for always being there. God bless you all! Thanks for visiting and commenting. We’ll be happy for you to come back. Please invite your friends to follow too. God bless and have a great day!! !